At least two persons, a woman and her daughter, were killed when two male suicide bombers detonated explosives strapped to their bodies Sunday evening in Madagali, Adamawa, North-east Nigeria, residents and officials have said. Residents and local officials confirmed that two male suicide bombers blew up themselves after sneaking into the town. The attackers, who entered the town at about 7:30pm on Sunday, reportedly entered a house in Silda village near Gulak ostensibly looking for assistance from the home owners. They thereafter blew themselves up, killing a woman and her daughter. A resident, Bello Dauda, also said another set of insurgents struck at Gurjango village where they carted away cattle. ”Yes, it occurred late evening on Sunday at about 7:45pm.They (insurgents) blew up themselves after entering the house, while the victims were busy relaxing. “The IEDs (improvised explosive devices) strapped to their bodies exploded, killing them instantly, including a woman known as Dudu and her daughter. 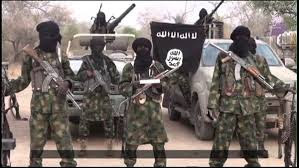 ”On Saturday, they (Boko Haram) struck at a village between Bitu and Yinagu and even today, (Monday), we heard that they attempted to wreak havoc at Imbrissa but were repelled by gallant hunters. Let President Buhari do something as our people are being killed”, he said. A lawmaker, representing Madagali and Michika Federal constituency, Adamu Kamale, said he is yet to get full details of the tragedy. ”We woke up again today with yet another sad development. As at 10:30 a.m today, Monday, we got reports that bombs exploded at Sidar Madagali. Though we are yet to get details of loss of lives, we heard that there were injuries,” he said. Akintoye Badare, a major and spokesman of the 28th Task Force Battalion, Mubi could not be reached for confirmation as at the time of filing this report.